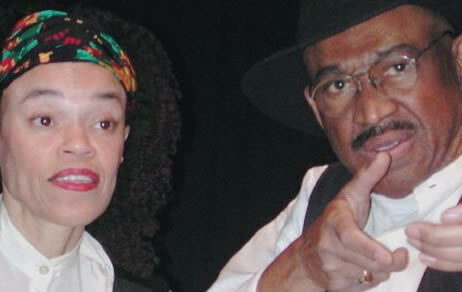 Fran and Von Washington are professional performers who have been involved in the world theatre scene for more than 20 years. Their collective experiences have placed them on national television in commercials, and feature, industrial and educational films, as well as on stage for more than five hundred performances. In the last ten years, they have performed before more than one-hundred and fifty thousand audience members. They have dealt with love, hate, anger, marriage, divorce, indifference, racism, diversity, and many other topics. They have received awards and favorable mention from individuals, organizations, and the press. Their company has received numerous awards from the State of Michigan and both are the reciepents of the Community Medal of Arts Award from the Arts Council of Greater Kalamazoo. They founded WPI in 1991. Since launching the company, they have presented more than 1200 performances of 15 shows, created specifically for audiences, young and old. Two of their creations, a full stage production of Kentucky at Sunrise, featuring a cast of eighteen, and the story theatre production of Seven Stops to Freedom, were sponsored by the W.K. Kellogg Foundation. Both deal with events connected with the Underground Railroad. Among their other presentations are stories about the life of Martin Luther King, Jr., African American Folktales, and a series of videos for the National Alliance of Black School Educators. Their shows have been booked for theaters, universities, colleges, schools, churches, prisons, special events, fundraisers, conventions, and banquets. 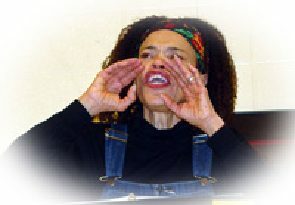 Their desire is to create an accurate and in depth view of the African American experience through the performing arts.